KATHMANDU, May 2: The Raxaul-Amlekhgunj Petroleum Pipeline Project has hit a snag because of the delay in getting clearance from the Ministry of Forest and Soil Conservation (MoFSC) to cut down trees on the projects’ right-of-way. The ministry has refused a proposal of Nepal Oil Corporation (NOC), sent through the Ministry of Supplies, to give go-ahead of to cut down over 13,000 trees in a fast-track mode. However, the MoFSC has told the NOC to conduct Environment Impact Assessment (EIA) first. NOC had sought permission in a fast-track mode some seven months ago, arguing that the petroleum pipeline is the government’s priority project. NOC officials say that the forest ministry’s refusal to give a go-ahead to fell trees will delay the project by at least one and half years. As per the existing laws, it takes around one and half years to complete EIA study. Sitaram Pokharel, the NOC spokesperson, told Republica that the Indian Oil Corporation (IOC) has already started procuring pipes for the project. Petroleum supply through the pipeline is expected to be faster, safer and cheaper. Surya Prasad Shrestha, the spokesperson for the supplies ministry, said that the ministry will try to find alternative routes if EIA study is made mandatory as it would take more time. 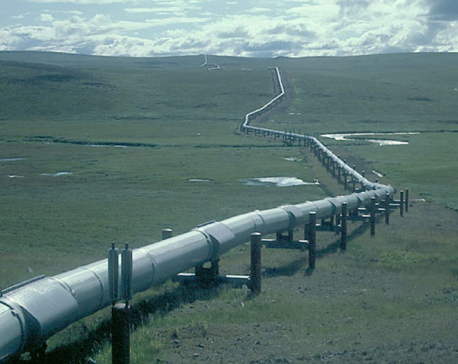 The pipeline project will also displace 4,000 houses and temporary shelters, and 750 electricity poles, among others. The Department of Roads (DoR) has already allowed the NOC to lay down pipes along the Raxaul-Amlekhgunj road. The pipeline project is being built with an investment of Rs 4.4 billion. 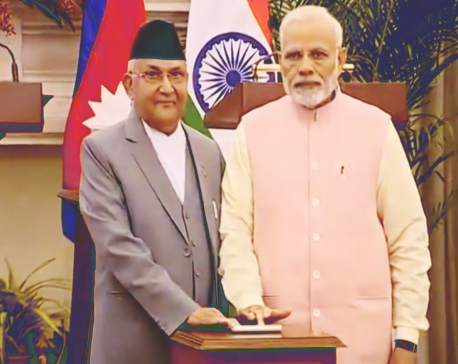 The pipeline will connect Amalekhgunj with Raxaul via Simara, Jitpur and Parwanipur.